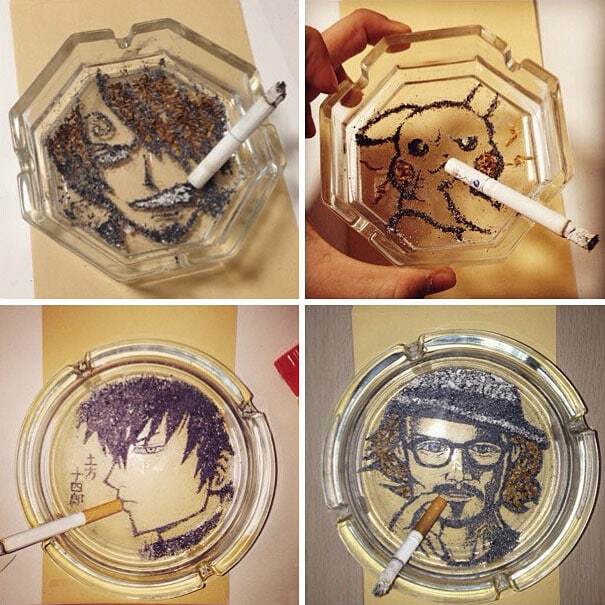 Smoking is bad, but Shinrashinge’s cigarette ash art is very, very good. 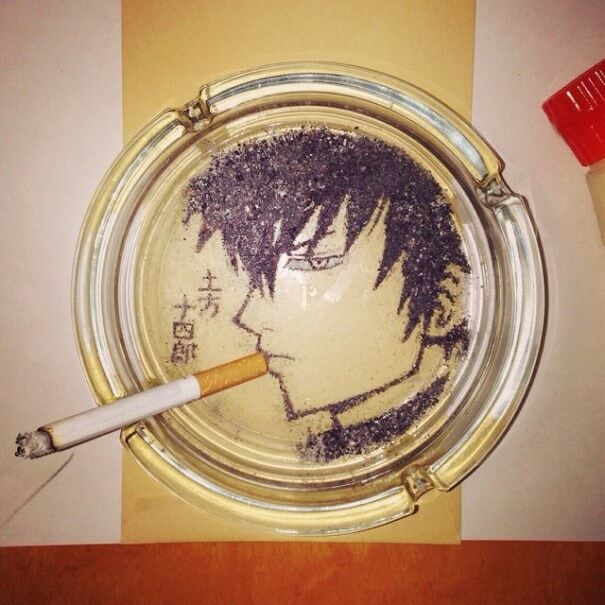 Using cigarette ash and tobacco, he makes portraits of both anime characters and real people. 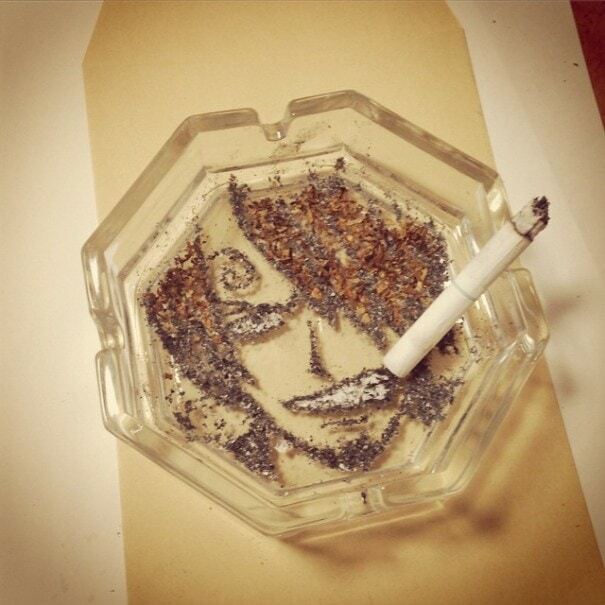 The process is long and arduous; smoking a cigarette is the easy (if smelly and unhealthy) part. 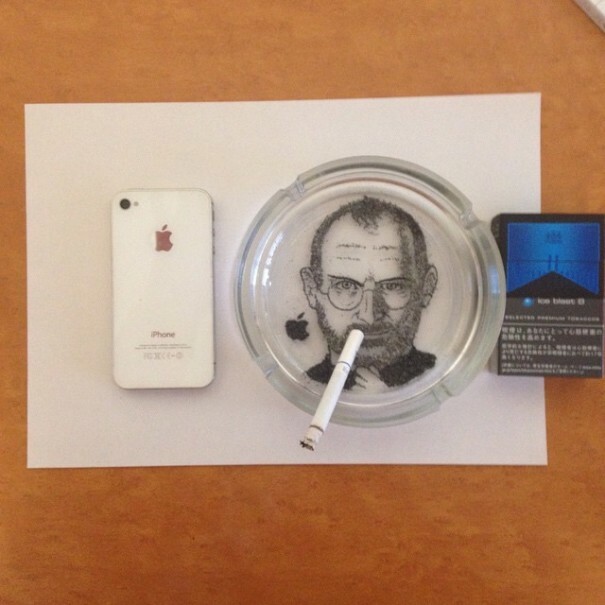 For example, drawing a simple portrait in an ashtray takes about two hours, while faces of real people take a lot longer: Steve Jobs, pictured here, required two days. 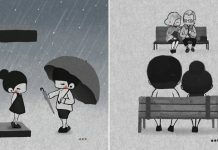 Sometimes Shinrashinge uses unsmoked cigarette tobacco to add color to the image. 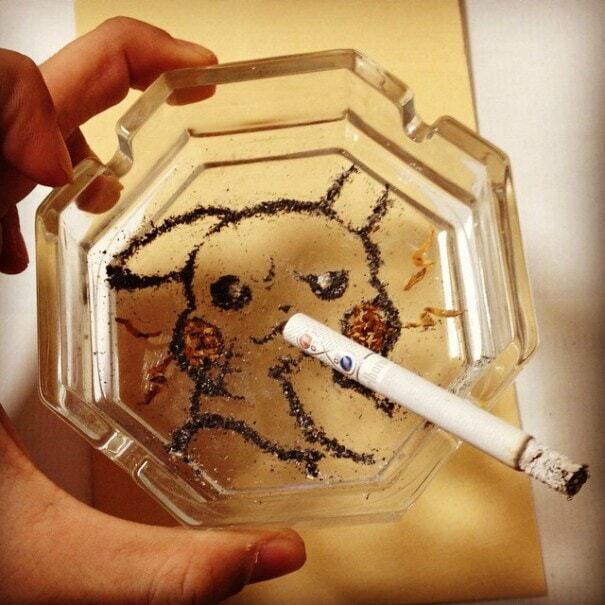 Shinshinge makes art out of many things, but tobacco is the one medium he’s willing quit. 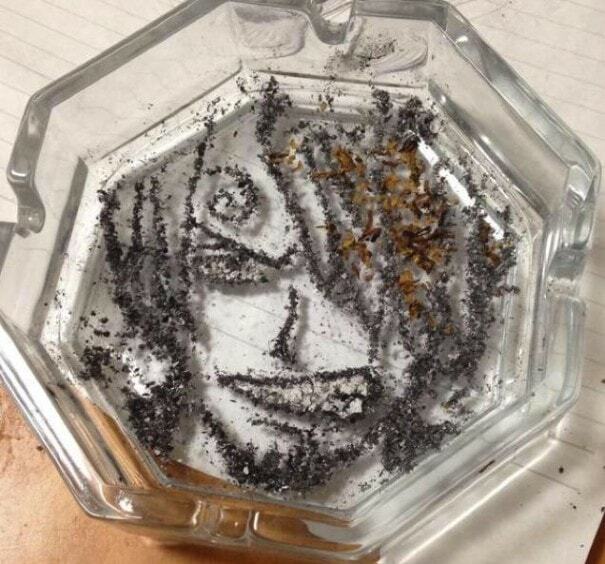 As he said in an interview with GameOver, “I’ve kind of had enough of cigarettes”. We hope he succeeds!